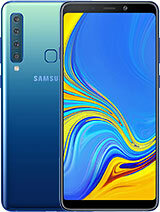 hey guyz this is a good phone for kid 10 years old is'nt it????? This really is a great phone. What amazes me most about the phone is that its got infrared and blue tooth. Cool!! The downside is that the picture qualities are not so sharp and clear but all in all its a great bargain.. Very good phone. To send the pic t pc, selct the pic, push more, send InfraRed...From pc to headset, you keep on the infrared port and send by the dialog box of win xp. Can anyone tell me how to upload pictures taken on T630 to PC? I have a infra red port and I can down load from PC to phone. This is truly a great phone. 3. The white T630 is one of the best designed phones ever! A very good buy! Go for it! The memories a bit small and the camera could be improved but apart from that its a good phone and gets the job done. i like it could i incease the memory card in this phone.Shall i know that.plz reply me .plz help me the camera result is not fine in this module reply me what can i do for know . I thig this GSM i good but the memory is smoll. I'm a Nokia fan but for once in my life i had to change. I had to change not because i did not like Nokia or not that Nokia had lost it but because i had discovered another new technology a technology that just got my heart. Thanks to Sony Ericsson. I'm planning to get Sony Ericsson K700i. Infact if you wanna ask me how it work here in Uganda, just call on my Sony Ericsson T630. The number is +25678562844. Thanks to Sony Ericsson again. i have this phone. i regret buying it because the memory is not good and the camera is poor aswell.the games r gd on it. and the themes r gd. it looks cool. i have had my for 2 years now. Hi! 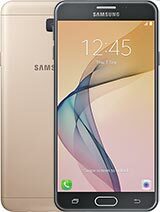 i just bought this phone yesterday. Its really nice. I have the jet black edition. The only problem i have is the memory. I've had this phone for almost 2 years now.1st of all,i don't think that this phone has any major problems.In fact,i think the only problem with this phone is that it can only store around 70 messages.Apart from that,i would say that this phone is 1 of the best phones at its time.The VGA camera at that time was considered acceptable.The polyphonic ringtone sounds good.The screen resolution is bright and clear.The overall design of the phone is eye soothing.This phone has got to be 1 of the best buys ever. t630 really meet the demand for me,it has Bluetooth,640x480 camera shot,IrDA and a Liquid Black superb design.If you need some entertaiment like music,get a Bluetooth Handsfree MP3/FM player for a few hour of Mp3/mp4.AAC or FM Radio.Anyway these just my simple planning.t630 really a SE successful product and my dreaming handphone although the price is not expensive now.